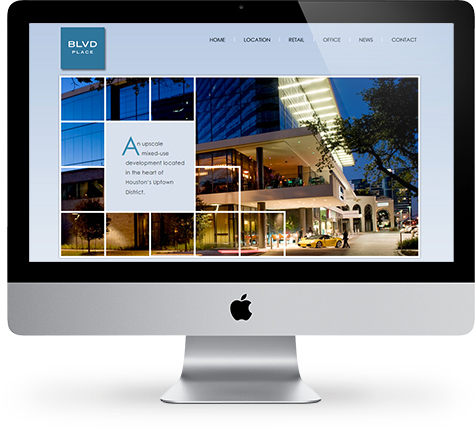 BLVD PLACE is a mixed-use development located in Houston’s Uptown District featuring 500,000 square feet of upscale luxury boutiques, fine dining restaurants, premium office space and exclusive residences. The website was re-designed echoing the modern architectural elements found in the development as well as updating the site with a soft clean color scheme. We also improved the online user experience by re-designing the site navigation, adding interactive photo galleries and sliding messaging tiles. Website visitors can view photo galleries, download site plans and development materials, as well as contact BLVD PLACE with inquiries. In addition to re-designing the website, Be Digital also provides BLVD PLACE with graphic sign design and email marketing services.